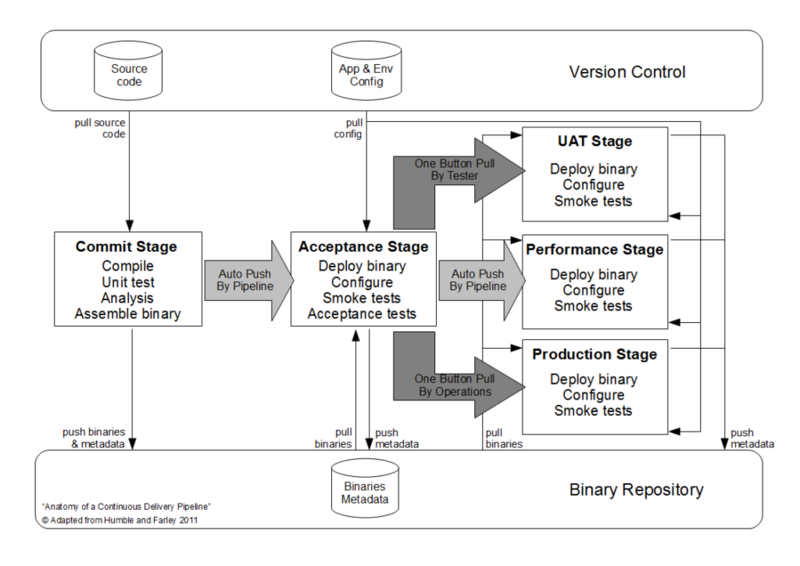 In Continuous Delivery, Dave Farley and Jez Humble describe the Lean production principles that underpin Continuous Delivery, and how a pipeline encapsulates a value stream – the journey a customer feature undertakes from discovery to real world consumption. 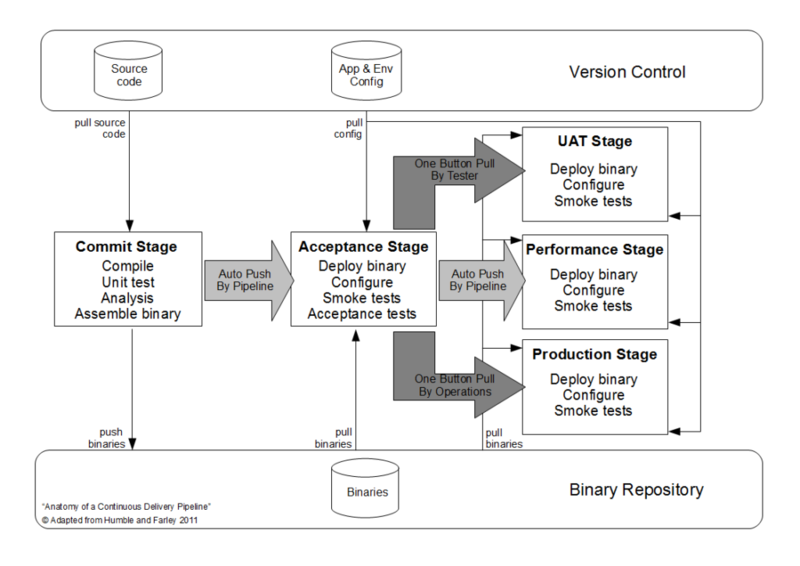 In the above pipeline, each stage ends with a discrete piece of metadata (“created XYZ 2.1”, “XYZ 2.1 passed acceptance tests”, etc.) being written back to the binary repository, indicating that one or more new customer features have progressed in the value stream. In this situation the lack of activity data reduces each stage to a fire-and-forget operation, constraining feedback and unnecessarily exposing the value stream to obtuse, time-consuming errors. For example, QA could mistakenly test new features that have not passed automated regression tests, or Operations could mistakenly release features that have not been signed off. These features ensure fast feedback is always available and that the pipeline is an accurate representation of the underlying value stream. An absence of metadata unnecessarily hinders these goals and suggests a failure to understand the core values of Continuous Delivery. 19 April, 2012 at 23:33.